In a gallery reminiscent of Warhol's Silver Factory studio, Museum visitors are invited to create their own screen test utilizing a computer touch screen, a moveable backdrop, a specially modified vintage camera, and twin studio lights. Upon completion, the visitor's screen test is transformed digitally from real time to slow motion and pushed to the Internet, where it will be available on a custom webpage. The screen test can be shared on various social media channels. Warhol's filmmaking was motivated in large part by his fascination with individuals, but he was also driven by his desire to capture the actual experience of living. As he wrote in his book, POPism: The Warhol '60s: "What I liked was chunks of time all together, every real moment…I only wanted to find great people and let them be themselves…and I'd film them for a certain length of time and that would be the movie." Warhol's Screen Tests, which number approximately 500, are revealing portraits of hundreds of different individuals, shot between 1964 and 1966. The subjects are both regulars of the Factory scene and new visitors-both famous and anonymous. They were all asked to pose to be captured by Warhol's stationary 16mm Bolex movie camera on silent, black and white, 100-foot rolls of film. Each screen test was exactly the same length, lasting only as long as the roll of film, about 2 ¾ minutes. The resulting films were projected in slow motion so that each lasted approximately four minutes. For exhibition, Warhol strung the Screen Tests together in a sequence, inducing an almost hypnotic reverie that could "help the audiences get more acquainted with themselves," as he once said. Although these film portraits were referred to by the Hollywood term of "screen test," none of them appear to have been used for the purpose of actually testing or auditioning prospective actors. 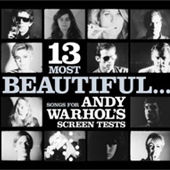 Many were included in compilation films such as the flatteringly-titled 13 Most Beautiful Women, 13 Most Beautiful Boys, and 50 Fantastics and 50 Personalities, which were projected in different versions each time they were screened, depending on who was in the audience or who Warhol wanted to please. Ultimately, Warhol left 89 reels of film marked "13" - 42 Screen Tests of 35 different men and 47 Screen Tests of 30 different women. Also, the Screen Tests and other Warhol films were used, accompanied by strobes, mirror ball reflections and other visual effects, as part of the light show for his 1966-67 multi-media happenings, Andy Warhol Up-Tight and the Exploding Plastic Inevitable, which featured the music of the Velvet Underground and Nico. It has often been written that Warhol simply turned on the camera and walked away. However, as can be seen in a 1964 film, made by the British Broadcasting Company, called Cheese! 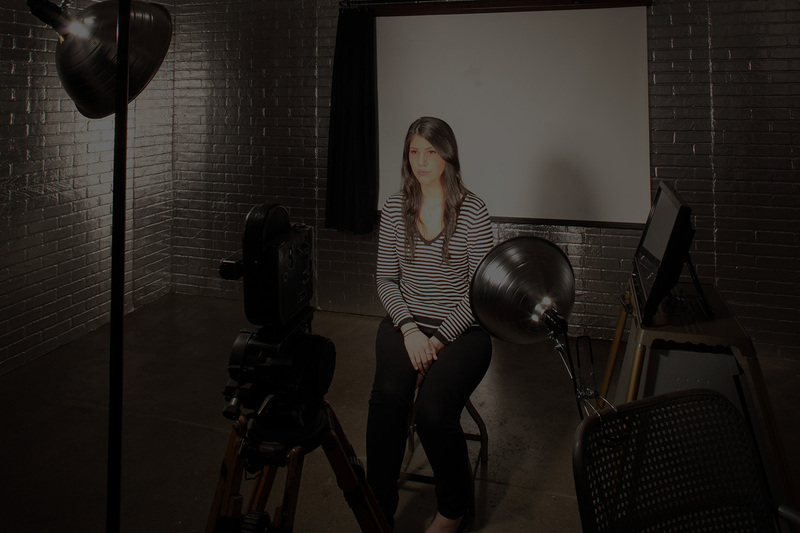 Or What Really Did Happen in Andy Warhol's Studio, Warhol was actively engaged in shooting Susan Sontag's Screen Test. He set up the camera, framed the shot, and engaged the sitter before filming. Here, Warhol chats with Sontag, answering her questions about her on-screen behavior and suggesting that she move as little as possible. 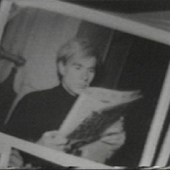 For other Screen Tests, an assistant might have loaded the camera, while Warhol stayed in the background and chatted with friends or visitors who were there to be a part of the experience. Whatever the interaction or presumed lack of interaction between Warhol and his subject, he used the filming process to communicate with and learn about people. Even when he wasn't in the room, the camera remained as a surrogate for his presence. Many of Warhol's Screen Tests fit the standard formula-the subject and the camera almost motionless for the duration of the film, with the result as close to a "living portrait" as possible. However, within this format, there are subtle variations. Starkly lit with a single lamp, a glowering Paul America and the intense Susan Bottomly are sharply contrasted by the dark background, while Ann Buchanan and Edie Sedgwick's Screen Tests were fully lit, allowing the viewer to notice every subtle change in their almost unmoving faces. In addition, there are a number of Screen Tests that entirely diverge from this format, some with wide shots that take in the sitter's body as well as their face; one-takes that start with a close up on a facial feature, such as an eye, or teeth or lips, and then slowly zoom out to reveal the sitter's face; and hyper-edited versions, in which the Screen Test is broken up by in-camera edits.